DYNAFIT Competence Centers are the best skitouring specialists worldwide. These dealers belong to the DYNAFIT family, represent the values of the brand and are known for competence, experience and passion. Right now DYNAFIT is proud to have 47 Competence Centers around the globe. 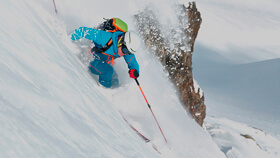 The lightest, most innovative and most premium high tech line in ski touring.